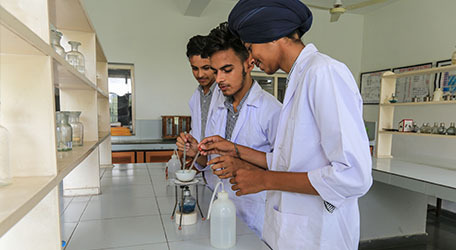 Our infrastructure is designed to provide our students with an opportunity to explore new dimensions of learning, with an IT-enabled campus, fully equipped science labs and well-stocked library. We aim at giving the students an adequate exposure. 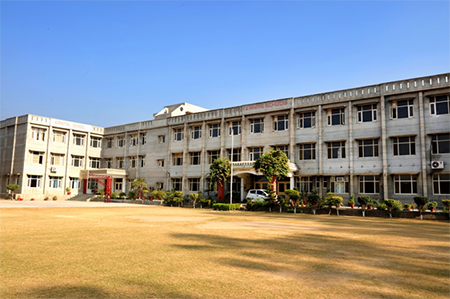 The campus of Kaintal School is developed keeping in mind the interactive mode of learning at the school. A fully IT enabled campus indicates that our focus is on creating a well networked 21st century school for learners. 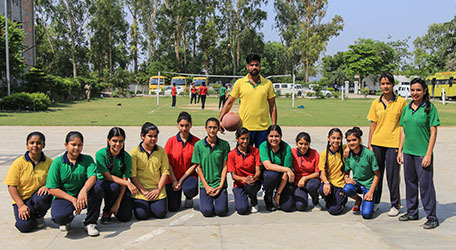 The senior school is well equipped with grounds and tracks for games like hockey, volleyball, football, cricket and basketball. There is also a special track for athletes of track events. Having a well laid out sports infrastructure ensures that our students don’t miss out on sports which aid in their all round development, health and sports skills. All the sports facilities along with dedicated sports teachers help our students become true masters of the game at an early age. In this age of information technology, being a cut above is very important. To keep our bright minds updated, we have a well laid out computer lab with the latest and updated computer systems with the best of software. Our computer labs are also equipped with high speed seamless internet, so that our students can be connected to the world at the tip of their fingers. Science is best learnt when put to use. 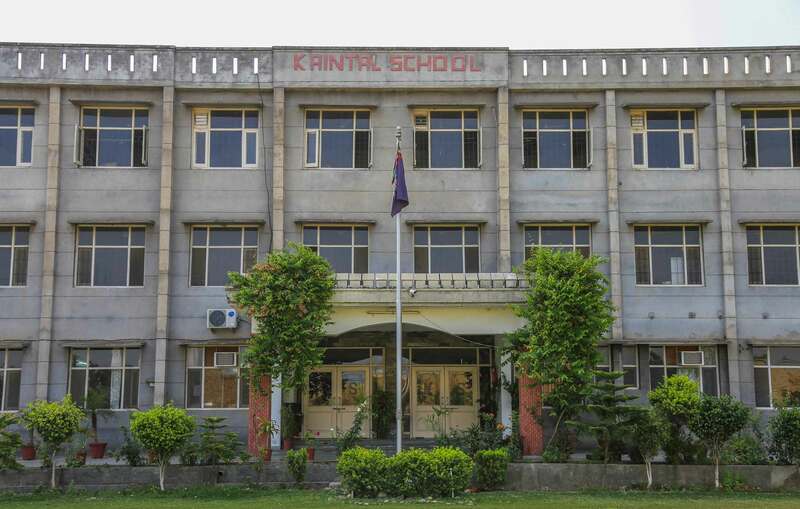 Kaintal School has well equipped physics, chemistry and biology laboratories. We encourage our students to learn through research and experiments which are conducted to enhance theoretical training. Reading is to the mind; what exercise is to the body. 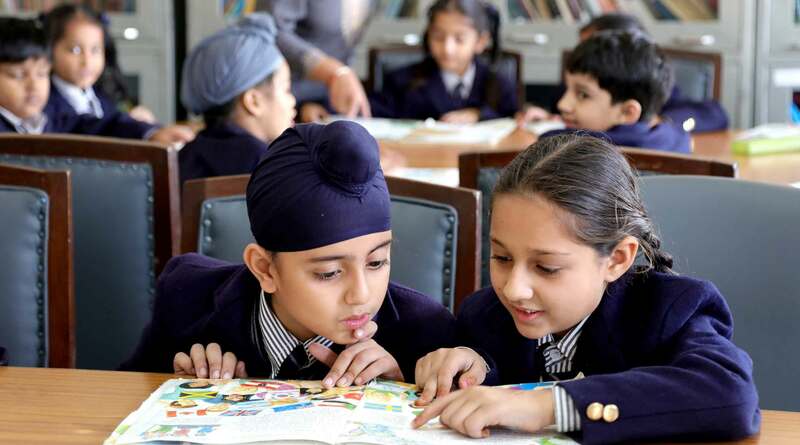 The school has a large library which has a rich collection of books on various subjects. The library subscribes to many national, newspapers and magazines. Our staff and students can access the library any time for their study or research work. Classrooms are spacious, well-lit, clean and provide the most conducive atmosphere for learning. 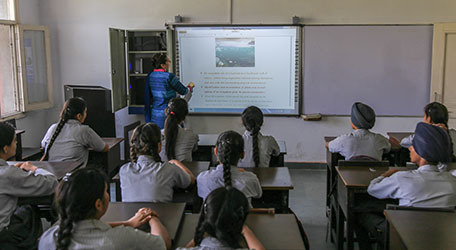 Every classroom has smart board facilities for E-learning with flexible sitting arrangements. For exposure and experience in other fields, the school houses audio-visual labs, sports rooms, music rooms, dance rooms, art and crafts rooms and work experience rooms.